Apple this morning announced that more than 3 billion apps have been downloaded from its App Store by iPhone and iPod touch users worldwide. This comes nearly 9 months after it first hit 1 billion downloads served, and just over 3 months since it reached the 2 billion downloads mark. No doubt, the holiday season helped increase the number of downloads so rapidly. But still: 1 billion additional downloads in 3 months and one week is just incredible. 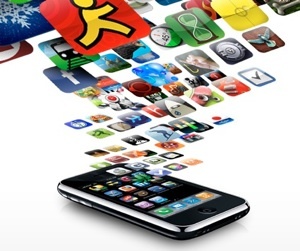 When the 2 billion mark was reached, Apple also said 85,000 apps were available in the App Store at the time, but the company chose to stick to download numbers only for this announcement, although they said 100,000 apps were published to the store separately at the beginning of November 2009. Nice jab there, Steve, and excellent timing with the official announcement of Google’s Nexus One phone just around the corner.